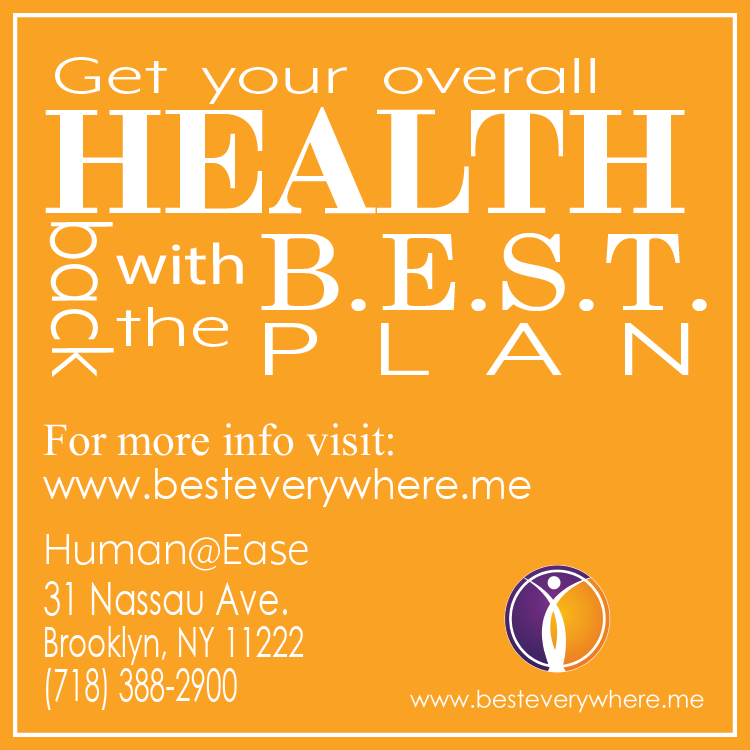 The “best dressed” hot toddy in Brooklyn. This holiday favorite is mixed to perfection featuring the flavors of the season. Allspice Dram, pimento bitters, lemon and honey accompany Lairds & Co. Five Star Whiskey. 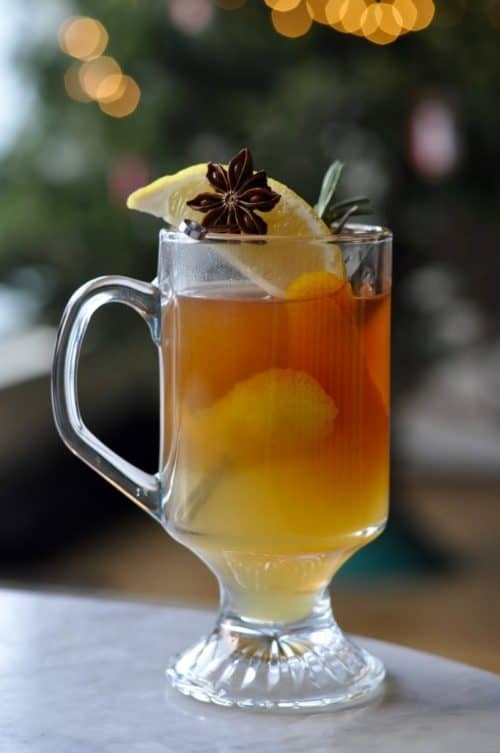 This cocktail is sure to warm your heart. Glögg $9, $6 at Happy Hour M-F 4-7 p.m.
You can’t capture that Nordic feeling of “Hygee” without some Glogg. This traditional Swedish recipe includes Cabernet Sauvignon, brandy, cloves, cardamom, cinnamon, sugar, and is topped with a cinnamon stick and orange peel. 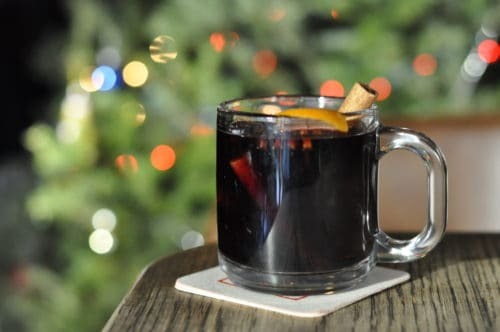 Enjoy this drink snuggling in a dark corner of this cozy bar filled with the scent of fresh Christmas tree. 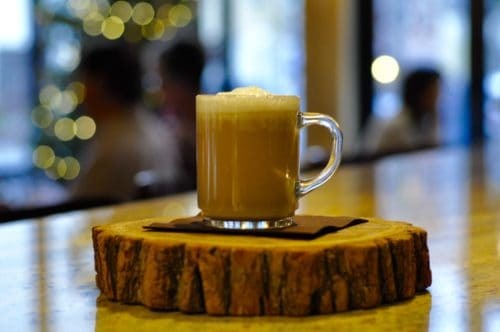 This Hot Buttered Rum is made with 8-year old Réserve Espécial Barbancourt Rhum, Kahlua, cinnamon and nutmeg and smells better than any Pottery Barn candle. 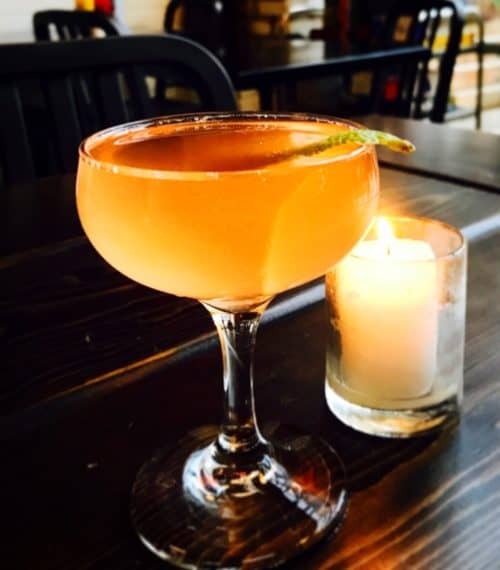 The warmth and sweet comfort of this drink matches the atmosphere and hospitality you will find at Fat Goose. The Pear of Aces is a champagne-based cocktail featuring St. George liqueur, bubbly and topped with an orange rind. This is just one of a few drinks on the special champagne menu running from now through January 2 (below).